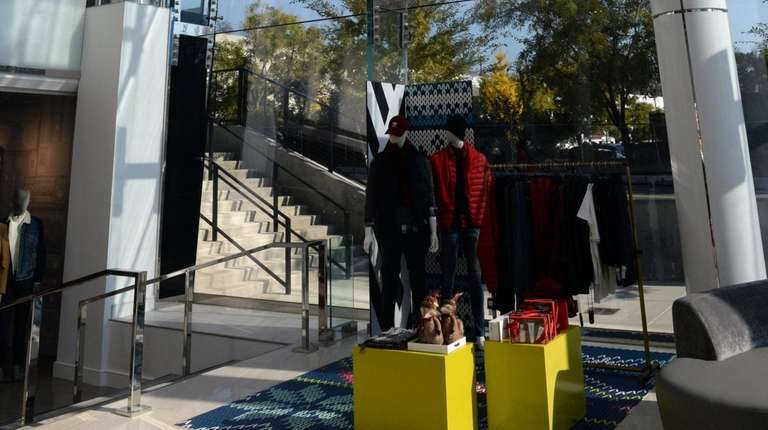 The work added 38,000 square feet to the Manhasset store. 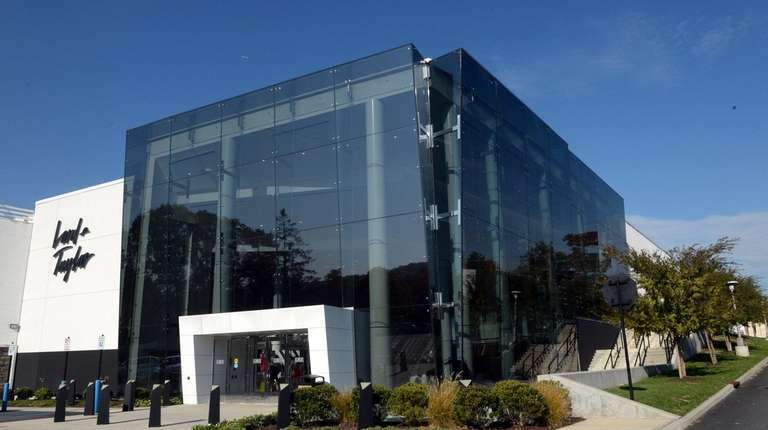 It also gained a two-story glass atrium and larger departments for cosmetics and women's shoes. Renovations at Lord & Taylor’s 77-year-old Manhasset store — the first branch location in the upscale chain — have increased the size of the building by nearly 50 percent. On Thursday, I attended a media tour of the store at 1440 Northern Blvd. led by Lord & Taylor president Vanessa LeFebvre, who was hired in May. The renovations, begun about three years ago, added 38,000 square feet to the three-story store, which is now more than 122,000 square feet. The work, which is mostly complete, includes the addition of a personal shopping room and a two-story glass atrium; new light fixtures, marble flooring and hardware; and the removal of some dividing walls to create a more open layout. The women’s shoe department was more than doubled and the cosmetics department tripled in size. The Manhasset store opened in 1941 and the current renovation project is the first at the store since 1986. The store has remained open during the project, but a “grand reveal” celebration is scheduled for Dec. 7-9. Lord & Taylor declined to disclose the cost of the work. The chain has four stores on Long Island, including a Garden City location that was renovated in 2016. Now, it's no secret that Lord & Taylor has a reputation for having upscale clothing and home goods brands — and prices to match — even as the chain, like many other department stores, is being challenged by online and discount retailers. In a one-on-one interview with LeFebvre, she told me that Lord & Taylor is not trying to completely change that reputation to target heavily courted millennials. “I would say that we want to build on our reputation. We are a historic brand. We’re 192 years old. We want to build on the reliability of the brand,” LeFebvre said. Most of Lord & Taylor’s customers are women — 85 percent — and the chain’s main focus is on working families, she said. But the "omnichannel" customers — those who shop online and in brick-and-mortar stores — are the top clients for Lord & Taylor, so the chain wants to foster those relationships through seamless shopping amenities, such as the personal shopper option that is available online and in stores, she said. Lord & Taylor is owned by Hudson's Bay Co., a Canadian company whose 350 stores also include Saks Fifth Avenue, Saks OFF Fifth, Hudson’s Bay and Home Outfitters. Hudson's Bay Co.'s sales have been sliding as customers increasingly turn to Amazon and other online retailers, as well as discounters, such as T.J. Maxx and Marshalls, which carry some high-end brands at reduced prices. In the quarter ended Aug. 4, comparable sales fell 3.8 percent in the division that includes Lord & Taylor. The company reported a net loss of $112.65 million in its North American operations. The company is trying to turn things around through several initiatives to reach new customers, including a Lord & Taylor store on Walmart.com that launched in June. The same month, it announced plans to improve Lord & Taylor’s overall performance by “right-sizing the number of stores,” which includes closing up to 10 of the chain’s stores through 2019. Those closures will include Lord & Taylor’s 104-year-old flagship store on Fifth Avenue in Manhattan.